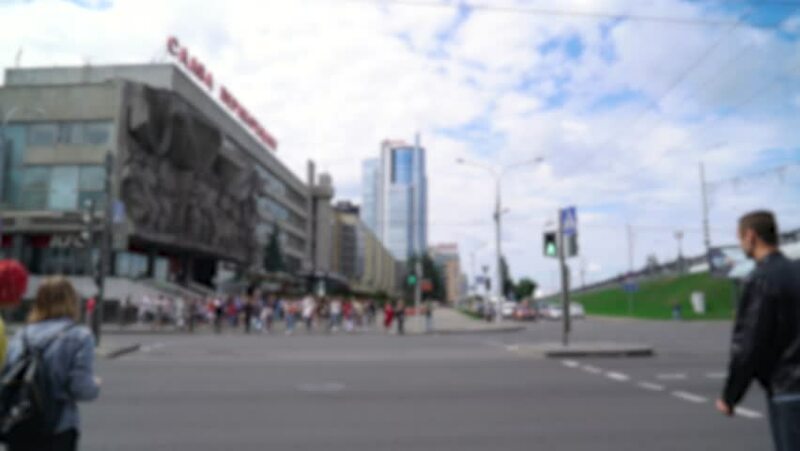 Blurred view of people walking along the street, people cross the road, blurred background. 4k00:23Blurred view of the intersection, traffic on the road, blurred background. hd00:10Dubai, UAE - April 8. 2018. Tourists on square at front of Dubai Mall. hd00:17Business center, Warsaw-Poland. 10. March. 2018. Street with cars at sunset of the day. Warsaw city centre of midday rush hour traffic on a cloudy day with strong sun breaks, taken in Poland on. 4k00:06HELSINKI,FINLAND - December 15, 2016: 4k footage of the street, in Helsinki city from running bus, few days before Christmas.